When it comes to financing a new or used car, the process can be both difficult and frustrating. Whether you are trying to figure out how much you can afford or if leasing would be your best option the process can be daunting. Here at Ewald's Venus Ford our Ford motor credit center is ready to walk you through each step of the process to get you into the new or used car of your dreams. Everything about what we do at the Ford financial services center is about our customers. We want you to feel confident in your decision which is why our team is prepared to help you navigate the entire process. Leases, loans, down payments; buying a new car involves so much more than choosing a model and color which can make the process overwhelming. Which is why at the Ford finance center of Ewald's Venus Ford we make it easy to navigate the financing world here in Cudahy, WI. We can determine your eligibility for low APR, and cash allowance offers, and whether leasing is the right choice for you. We want to help you make the best decision possible for your financing situation. At Ewald's Venus Ford, we are committed to finding the perfect financing option to suit your car buying needs. Whether you are looking to finance your next car truck or SUV or lease one we can help you figure out the best option for you and your budget. If you are not ready to commit to financing a Ford, we also have a variety of Ford lease deals to choose from. For an affordable down payment and a low monthly fee, you can drive away in a brand new Ford. Not only that but if you do not love your Ford lease, you can trade it in for a new car truck or SUV in 2-3 years. When it comes to Ford lease offers many people can be on the fence about whether or not leasing a Ford is a right for them. If you are not sure about one of the many Ford lease deals or whether or not leasing is right for you, head to our should you buy or lease page. There you can find in-depth information about leasing VS buying a vehicle to help you make your decision. If you have less than perfect credit and are worried that it might hurt your chances of being approved for financing. Our team at the Ford finance center are happy to go over your options with you. Here at the Ford Motor Credit center we accept all kind of different credit and are committed to finding you a loan that will fit in with not only your budget but also with your wants and needs when it comes to a new or used car. 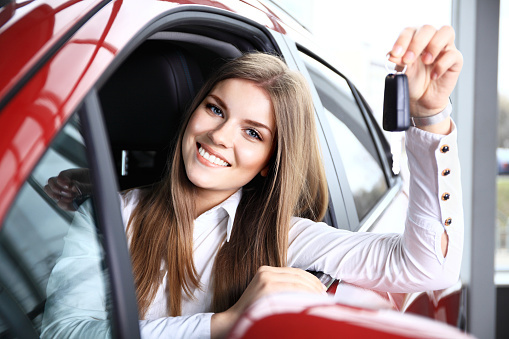 If you do not think you will be eligible for a low credit loan or if you do not have any credit to use, you can always, work on improving your score before you decide to finance a new car. If this is the case be sure to give yourself plenty of time to get your score to where you want it before starting the financing process. Credit scores aren't updated more than once per month; you might need credit boosts several months in a row to get your score where you want it. Here at the finance center of Ewald's Venus Ford, we can even help you refinance your car loan or adjust the term of the contract. That way you can afford a car that fits both your wants and needs here in Milwaukee, Kenosha and Cudahy, WI. Here at the Ford Motor Credit center, we understand that not everyone has the time to sit down and talk about their finances. We also understand that many people do not want to talk to a stranger about their financial situation. Which is why here at Ewald's Venus Ford we offer online financial resources to help you navigate the financial world. With the Online Credit Application, So you know just where you stand on financing and whether or not your credit is going to need to be improved for a better financing option. The Ford credit form is easy to fill out, and you have hit, submit a Ford credit representative will look it over. Putting your private and personal information on the internet can make understandably make people uncomfortable. However you have nothing to worry about when it comes to our forms, they are safe and secure keeping your information away from prying eyes. Ready to get into your next Ford Mustang or F250 here in Cudahy, WI? If so then you need to head to Ewald's Venus Ford to find your next Ford car truck or SUV. Once you have found your dream vehicle let the team at the Ford finance center make the financial part as pain-free as possible here in Cudahy, WI. Ewald's Venus Ford and its Ford credit center are just a short drive from Kenosha and Milwaukee, Wisconsin.